The first thing you must do when building a flower bed is to create a plan. Building a flower bed is fairly simple, but you must know exactly what end result you wish before you begin. Start out by taking a little stroll around your yard and thinking about where you would like to place a flower bed. Think about the amount of light each area of your yard gets, and take into account such details as what types of structures might be available for storage, whether or not there’s a handy water faucet, and whether you might disturb utility lines underground with your garden. Once you have a location chosen, create a sketch of the garden you would like to have. You could do this on paper, or there’s a variety of software available that can help you plan your garden. Take your time with this step because you’ll want to imagine different appearances for your garden. Look at different types of plantings and decide which ones you like the best, and which ones will thrive in the space that you have. Shape is an important consideration in how to build flower beds. 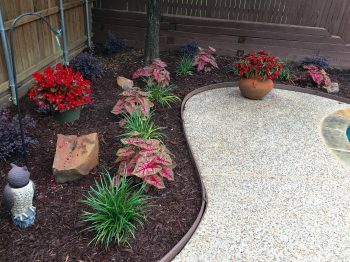 Do you want a standard rectangular or square flower bed, or would you rather have something more unusual, such as a curved shape, oval, hexagon or some other shape of your choosing? Once you’ve decided on the shape and size of your flower bed, go into your yard and mark off the area. You can do this using colored tape, spray paint, rope, flour or even your garden hose. Having the area you wish to plant marked off in this way, will help you to visualize your garden. If you’re planning to build a raised bed garden, you’ll want to think about the different types of edging you can use. You could go with rock, brick, landscape timbers, natural timbers, continuous edging, and a number of other choices. The depth of the bed, the appearance you desire, and of course cost, will all play into this choice.The first thing you’ll do is prepare the soil. Start by removing the grass in the area where your flower bed will be. There are a number of ways to do this.You could go with the old fashioned backbreaking method of digging the grass out with a shovel or tilling the area and then pulling out the loose rocks, clods, grass and roots. Both of these methods are very difficult and not particularly effective, yet a lot of people still think that this is the best way to begin. You’ll be happy to know that there is an alternative method of how to build flower beds, and it’s very simple.You can start by simply mowing the grass very short in the area where your flower bed will be. Follow this step by covering the area with a very thick layer of cardboard and/or newspaper ,which you will water liberally. This will have the effect of smothering out the grass.Next, put your border in place and simply add packaged potting soil or organic soil that you have created by composting. This is a very simple, all natural, inexpensive way to build a flower bed. How to build flower beds includes knowing when to build flower beds. Using the method described, you could begin in either the fall or the early spring. In many ways, fall is preferable. In the first place, if you begin in the fall, the grass will be dormant for several months, and it will not regrow underneath your cardboard in the spring. Second, instead of purchasing potting soil, you can simply fill the flower bed area with compost and then cover this with an organic mulch material such as leaves or straw. During the winter, all of this material will compost into soil and be ready to use in the spring. At that time, you can simply add your plants or seeds, and your flower beds will be well underway. We hope that this article on how to build flower beds has been helpful to you. 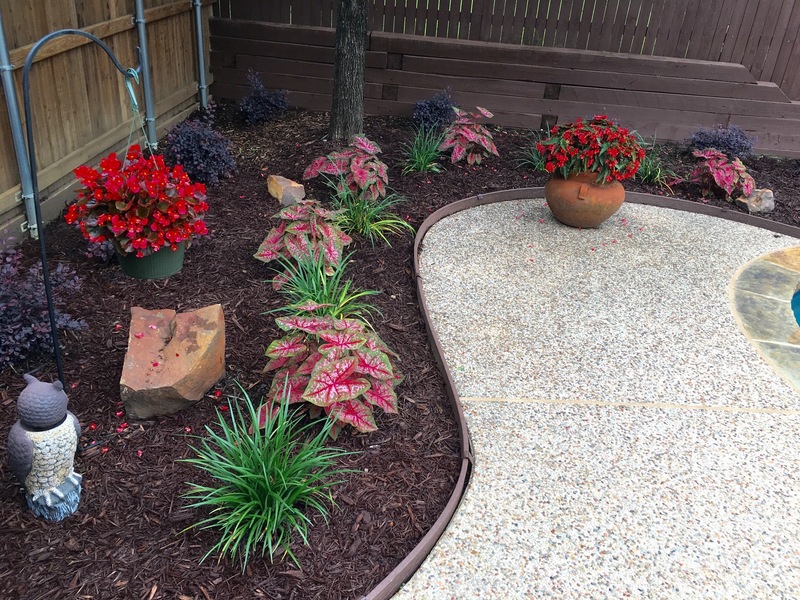 Remember that you can always call on your friends at Ryno Lawn Care, LLC to help you build flower beds, take care of your yard and lawn, trim trees and bushes, construct fences and much more. Give us a call today at 214-728-8894 or fill out our handy online service request. We’ll be happy to provide you with a free consultation and estimate to take care of all your lawn, yard and garden needs. I have gotten into container gardening and was thinking about doing flowerbeds the same way. Your post really helped me out with that and I think it will be my spring project after yard cleanup and power washing the siding. Do you know of anyone that does that in Lewisville?